SUSANA RINALDI "HOY COMO AYER"
1.- Please, first read our Policy. 2.- Full cash refund by items with serious defects. 3.- Worldwide Shipping: By Registered Airmail with Tracking Number and Confirmation signature. You can trace your item until Go Out from Argentina. 4.- 78rpm Records: We use a very safe and professional packing. 5.- We are in Argentina: But Accept Payments in Our Miami Business Office too. 6.- Payment must be received within 7 days of closed auction. 7.- We ship the orders fridays of every week. 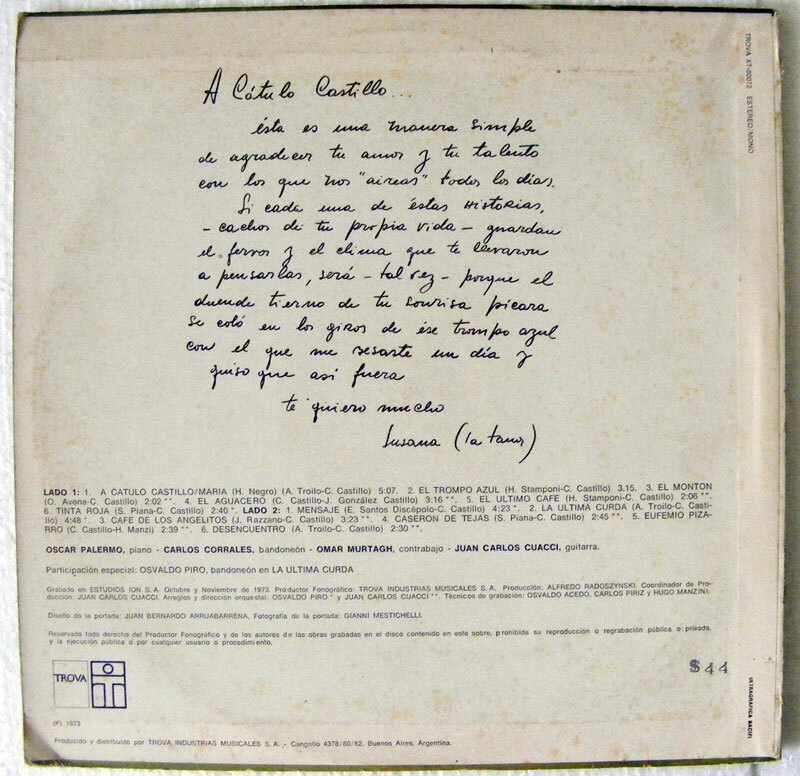 Click the button below to add the SUSANA RINALDI Hoy Como Ayer INTERDISC 17005 Arg LP 1982 to your wish list.